Fool yourself into spending less. That’s right. If you can’t appeal to your inner logic, look for ways to con yourself into keeping hold of your hard-earned cash for longer. Apparently, one of the simplest ways to do this is to carry cash, instead of paying on credit. It turns out that plastic isn’t only a polluting non-renewable resource. It it’s bad for your financial health. So say those studying neuroeconomics and behavioural finance. The problem is that we’re not half as rational as we think. These academics have spent their working lives studying the interactions between us mere mortals and our money, credit and debt. It turns out that our brains aren’t well evolved to handle our money logically and sensibly. One of the most interesting findings of recent years is that it’s psychologically harder to spend cash. In fact it has been shown by behavioural economists that we spend 30 per cent more when paying by plastic compared to cash. That’s a huge difference. Money spent on a credit card is invisible. It turns out that we feel pain when we hand over cash, but only feel pleasure when we buy something on plastic. That means no pain no gain when it comes to saving instead of spending. Remember then when you next hit the mall. 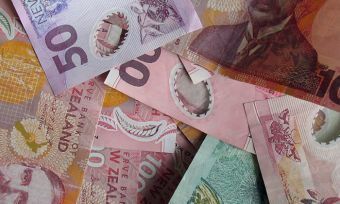 Even better, I’ve found, is that it’s harder to part with the bright new banknotes than the old crumpled ones. 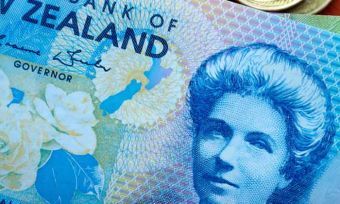 There’s something special and new about New Zealand’s new banknotes and anything that makes it harder to spend the better in my humble opinion. Credit cards are terrific for regular, predictable spending, or those arge one-off purchases, but if you need some help avoiding impulse buys, then a way to take advantage of this weakness of the human brain is to freeze your credit cards in an ice cream container of water so you can’t use them on a whim, or simply leave them at home. Instead take your weekly spending out in cash and split it into zip lock bags – one for each type of spending such as lunches, clothing, and whatever else you would usually use your credit card for. Once the plastic bag is empty that’s it for the week or month. Beware of buying online, especially if you’ve learned your credit card number, expiry date and security number off by heart. That’s dangerous. Buying online is even less psychologically difficult that handing over a credit card. Finally, we realise that most people will have some plastic fantastic in their wallets or at home. If you like credit card spending, at least shop around for the best by comparing credit cards with Canstar.